Nazism and chauvinism. These two concepts are often confused in connection with the proximity of their interpretation, but if we dig deeper, we can note the obvious differences in them which is caused, first of all, their historical origins. Nazism is the world view that underlies such forms of social organization like national socialism. One of the most iconic figures of the nationalist movement, without a doubt, was Adolf Hitler. He described in detail the basic tenets of nationalism in his book "My struggle", among them: anti-Semitism, the superiority of the Nordic race over all others (i.e., racism), the quest to solve foreign policy objectives by military means (i.e. militarism), rejection of the democratic or any other political ideas (i.e. totalitarianism). According to Fuhrer, race and state are one, and therefore talking about such nonsense as tolerance, freedom of choice and independent thinking with the Nazis is better not to try. Features any Nazi include Outlook, combining extreme nationalism with racism exclusive; faith in the idea of calling your race/nationality/nationality chosen (and, in this regard, the only decent existence); positive attitude toward a totalitarian state system. Chauvinism is the ideology going hand in hand with Nazism. But if the Nazis concentrated on the superiority of one nation over another, the chauvinism – on the insignificance of all others in comparison with one or other nation or individual. Moreover, chauvinism is more a special case, sowing the seeds of Nazism in society: if you collect a few people who preach chauvinistic ideas, you will get an extremely nationalist-minded mass. The chauvinism of several varieties: male chauvinism, female chauvinism, linguistic chauvinism, racial chauvinism (racism), religious chauvinism, etc. in Other words, the chauvinist specifies the confidence that the fact of belonging to a particular gender, nationality, race or, say, a musical subculture he has the right to humiliate others for their not belonging to one group or another. So, Nazism is a ideology, chauvinism is the ideology. However, as can be seen, the roots of both phenomena grow from one source – intolerance and with it the insecurity and dissatisfaction of their own lives with the desire to blame others for their failures, and fear to look at their own mistakes (not to mention the fact to try to fix them). Each word is characterized by a high degree of intolerance towards a race, group, nation, etc. Just 70 years ago the world was overwhelmed with the Great Patriotic war, but today the followers of the führer declare their claims to political power. They are trying under the guise of nationalists to get into the parliaments and cabinets of Ministers, arguing that in fact pursue the interests of the people. So, what they are after all nationalists are different from the Nazis. Nazism is a political ideology of national socialism, where a socialist system of society and the state intertwined with the extreme nationalist and racist ideas. This ideology allows us to assert the superiority of one nation over others and to justify ethnic wars and racial discrimination. 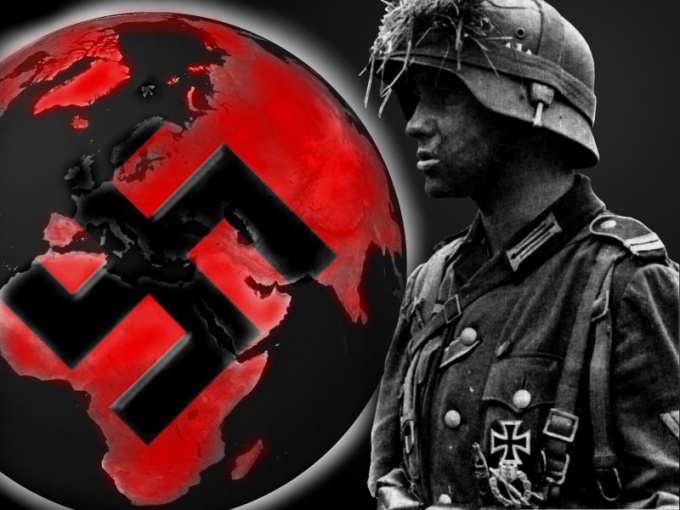 Important attributes of Nazism are the rejection of the market economy, totalitarianism, the introduction of universal military service, an atmosphere of unanimity and total intolerance. Nationalism is a political movement, an important principle of which is defense of the nation and respect its interests. At the same time people can be United, or the principle of "one blood", or on the principle of "one faith," "one earth". Political ideology defends the interests of the nation and at the same time it always maintained its superiority over other Nations. Moderate nationalism helps to identify social or ethnic group among others, to comply with its interests, to organize a fairly effective management. 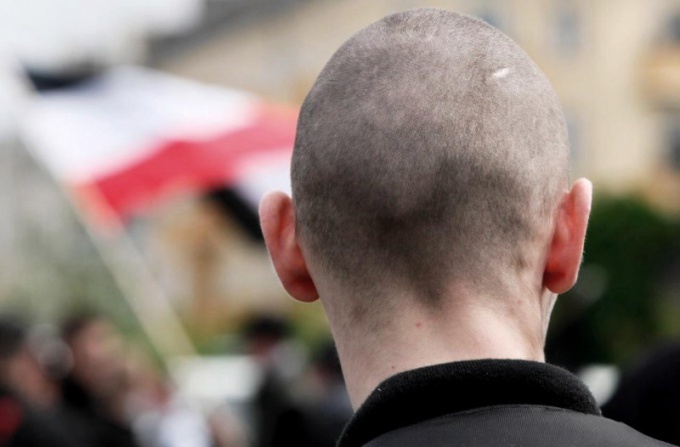 In turn, Nazism is more aggressive in it's most basic plans include the distribution of just one biological group, for allegedly possessing a kind of superiority over others. This ideology argues that ethnic perfection of one nation gives it the "right" to oppress others, including to their complete destruction. Nationalism refers to the representatives of other Nations more tolerant. In addition, it can be formed for religious (Islamist state) or a territorial (United States) principle. Nationalism is not, in all cases, contrary to the market economy, the freedom of thought and freedom of speech. He can handle constructive criticism. National socialism – the ideology of the totalitarian state in which there is no question of personal freedom of citizens. Summarizing, we can say that the difference between Nazism and nationalism consists in the following aspects. The definition of ethnic group. The ideology of Nazism is at the forefront of a biological origin, and nationalism is the religion, the unity of views. The attitude towards other peoples. Nazism carries the idea of superiority of one people over others, racial discrimination. The nationalism of the other ethnic groups applies relatively tolerant, but does not want to merge with them. The state of the device. Nazism always totalitarian, he is committed to the complete destruction of the other parties. Nationalism can manifest itself in various political forms - from authoritarianism to democracy. Despite the fact that nationalism is more flexible and tolerant than Nazism, it is also not ideal and criticized. For example, albert Einstein spoke about it: "Nationalism is a childhood disease. It is the measles of mankind."